In November 2017, iExec released its V1 along with an SDK (Software Development Kit) allowing developers to take full advantage of the decentralized cloud. Indeed, the service enables blockchain applications to access an affordable, scalable, transparent and secure off-chain computing cloud. 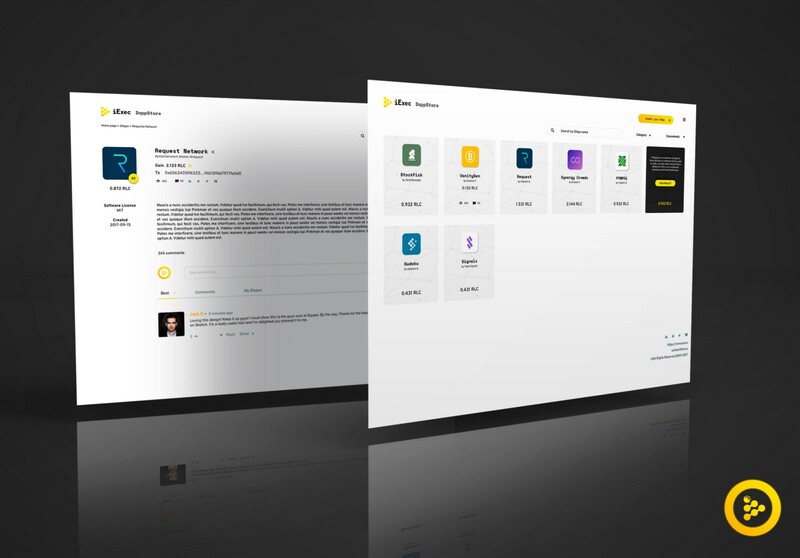 Following its vision to support Ethereum development and the whole ecosystem of decentralized applications, iExec is currently creating the first ÐApp Store, which release is scheduled for mid-December. This platform will act as a curated list of the decentralized applications running on top of iExec. In order to boost the development of applications on the blockchain,we are pleased to announce that we are opening doors to dapp project proposals. We have reserved a prize pool of $150K to be distributed among different dapp projects. What are the rules of the ÐApp Challenge? The ÐApp Challenge targets Ethereum developers wishing to create an application running on the blockchain. To overcome the scalability limits of blockchain, this application can leverage the cloud computing infrastructure of iExec. This will also be the opportunity for you to benefit from the visibility of being on the forefront of our ÐApp Store, as well as earn RLCs when users utilize your application. 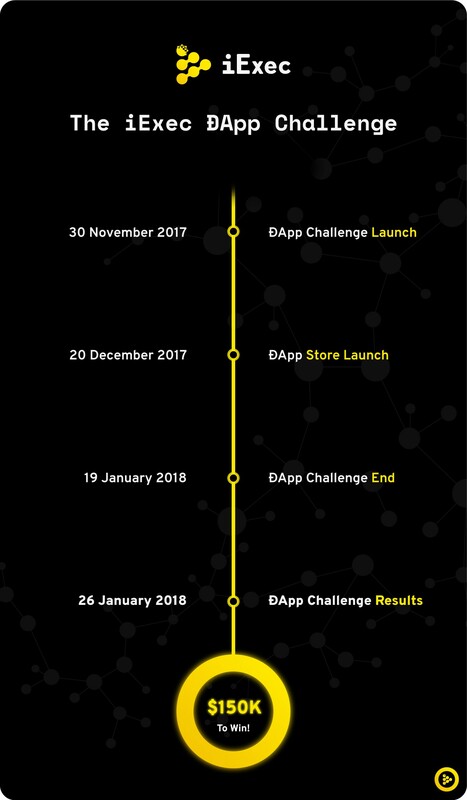 Everyone is welcome to participate, and the iExec team will be there to support you in making your idea a reality listed on the ÐApp Store. How will funds be distributed? A maximum of 30 dapps will be supported by offering them financial grants. The value of these grants will depend on how the projects score based on the previous 4 criteria. The minimum grant amount is set to $3,000. Winners will be given a first round of financing in February, and gradually upon completion of milestones on their roadmap, the remaining funds will be unlocked. From the 30th of November to the 19th of January, you will be able to craft a project proposal and submit it to us. A dedicated page will soon be made live for this purpose. Edit: In case you’re project is confidential and you do not wish to publicly disclose information about it, you can use the Google Form and instead of pull requesting, just send us your detailed proposal by email or on Slack. We can sign an NDA if necessary. Developers are free to collaborate and submit their work as a team, and your project doesn’t have to score high on all the of the 4 criteria to win a grant. Edit: Due to a significant amount of requests from various projects and other specific requests regarding confidentiality, we have decided to extend the Dapp Challenge deadline by 1 week. Therefore, the new deadline is now set to the 31st of January. - You can submit the description of your dapp through the Google Forms document and by pull-requesting the iExec public repository. - If your project is confidential and you do not wish to reveal its roadmap and contents this early, you can simply fill in the the Google Forms and send us your detailed proposal privately. We are ready to sign an NDA to guarantee non-disclosure. 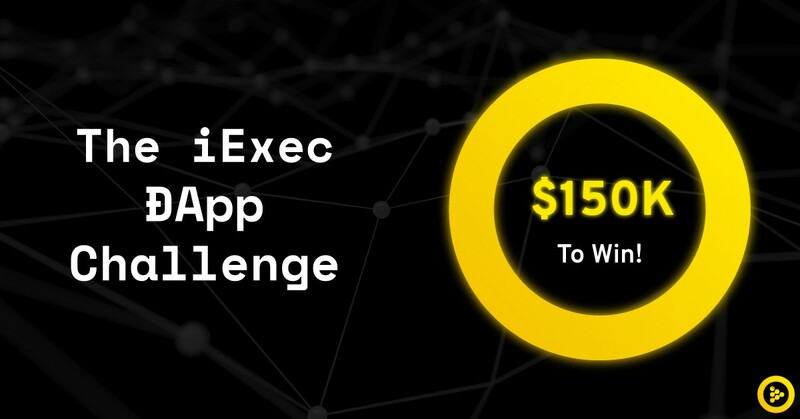 After the application window closes, iExec will have 1 week to deliberate and announce the participants who will benefit from a development grant. These are exciting times for blockchain development and decentralization enthusiasts. Some of you already shared some ideas with us, now is the time to put those ideas on paper and think through how to make them a reality. Edit: Due to multiple requests from community members to extend the deadline to allow more participants in, the deadline is pushed to the 31st of January. This gives 12 more days to developers to finalize and submit a proposal. Wassim Bendella is a business developer at iExec, a blockchain startup decentralizing the cloud market (previously at Shell and Cointelegraph).